The Apple Worldwide Developers Conference (WWDC) has started today and it will happen for 5 days. Apple says over 1,000 Apple engineers will be at Moscone West to present advanced coding and development techniques, and 5000 developers will attend this technical conference. You can see the Session list here. 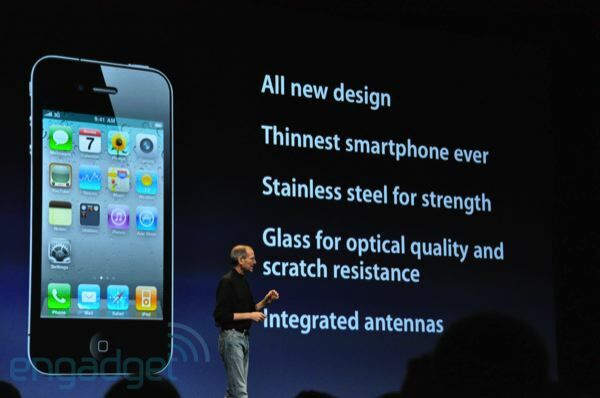 - Steve jobs has explained abut the new iPhone 4, a thinnest smartphone (9.3 millimeters (0.36 inches) thick). He says it has 100 features. - Front-facing video camera. The iPhone 4’s video chat feature is called FaceTime and it allows you to chat portrait or landscape mode and use either the front or back camera. - It comes in 2 colors: black and white. - It will cost $199 for the 16GB model and $299 for the 32GB. - It will be able to multitask. Need not quit one app to open another. You can move seamlessly from email to music to games. -Farmville Game will be available in iPhone. -iPad is set to get full support for PDF format files in the native state, as well as getting a separate visual bookshelf to store them on and full bookmark support.